In this tutorial I will explain you how an attacker can capture your authentication cookies on a local area network and use them to hack your facebook account, Before reading this tutorial I would recommend you to part1, part2 and part 3 of my Gmail Session Hijacking and Cookie stealing series, So you could have better understanding of what I am doing here. An attacker can use variety of methods in order to steal your facebook authentication cookies depending upon the network he is on, If an attacker is on a hub based network he would just sniff traffic with any packet sniffer and gain access to victims account. If an attacker is on a Switch based network he would use an ARP Poisoning request to capture authentication cookies, If an attacker is on a wireless network he just needs to use a simple tool called firesheep in order to capture authentication cookie and gain access to victims account. In the example below I will be explaining how an attacker can capture your authentication cookies and hack your facebook account with wireshark. Step 4 – Continue sniffing for around 10 minutes. Step 5 – After 10minutes stop the packet sniffing by going to the capture menu and clicking on Stop. Step 6 – Next set the filter to http.cookie contains “datr” at top left, This filter will search for all the http cookies with the name datr, And datr as we know is the name of the facebook authentication cookie. Step 7 – Next right click on it and goto Copy – Bytes – Printable Text only. Step 8 – Next you’ll want to open up firefox. You’ll need both Greasemonkey and the cookieinjector script. 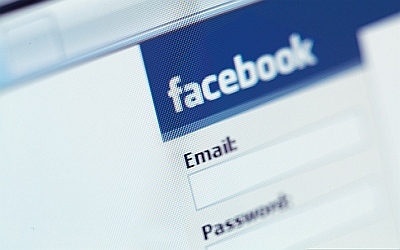 Now open up Facebook.com and make sure that you are not logged in. Step 10 – Now refresh your page and viola you are logged in to the victims facebook account. Next articleHOW TO HACK FACEBOOK, MYSPACE, TAGGED, ORKUT, HOTMAIL, GMAIL.